The latest update features a new section on “Divestiture of Control,” that discusses the notice of proposed divestiture that any controlling insurer seeking to divest its controlling interest in that insurer must file with the Commissioner. The section describes how the Commissioner will deal with confidentiality concerns surrounding the notice. The new section also notes the possibility that the Commissioner may require parties seeking to divest control to file for formal approval of the transaction. The revised chapter also features a new practice note as to the California Department of Insurance’s requirements as to exhibits that must accompany the filing of Form A Information Statement when there are various acts that will, directly or indirectly, lead to a change in control of a domestic insurer or person controlling a domestic insurer. Section 5.06 newly points out an exception to the exemption from registration granted an admitted foreign insurer whose domiciliary jurisdiction has disclosure requirements and standards that are substantially similar to California’s requirements. Section 5.06 newly discusses the annual enterprise risk report that must accompany registration statement. A new practice note in the section discusses various online filing requirements through the California Department of Insurance’s Online Assistance System for Insurers Submittals (“OASIS”). 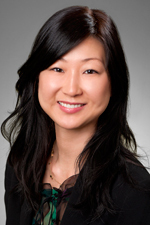 For more information on The California Insurance Holding Company Act, please contact Suh Choi (email). On January 14, 2014, the California Department of Motor Vehicles (DMV) held a hearing on proposed regulations governing the testing of autonomous vehicles on public roads in California.